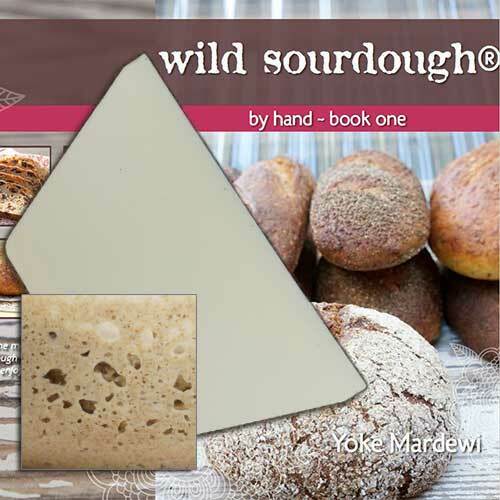 Buy both wild sourdough starter and book together and receive a FREE GIFT of a large sturdy dough scraper/divider worth $8. 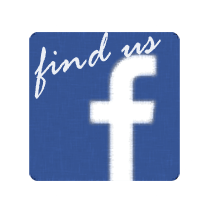 The most useful tool you will ever need in your sourdough breadmaking. This gift will be sent automatically with your book and starter when purchased together. 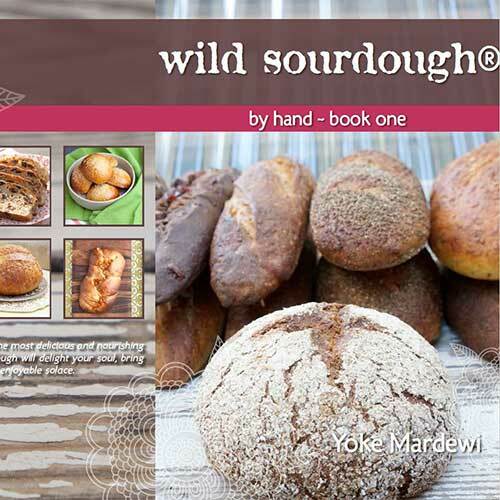 Now you can purchase the hard copy version of her popular ebook, “WILD SOURDOUGH BY HAND“. 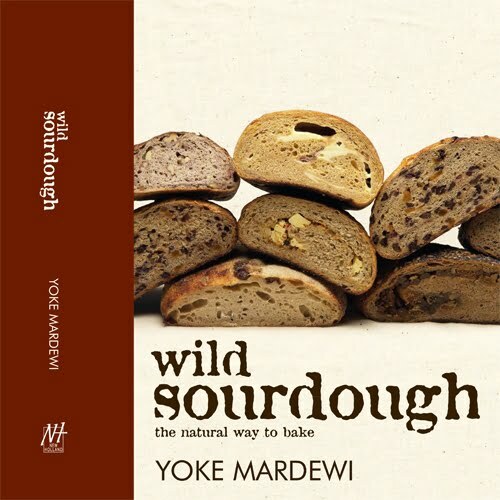 Following on from “Wild Sourdough” and ” Sourdough” here comes another cookbook from sourdough specialist Yoke Mardewi. 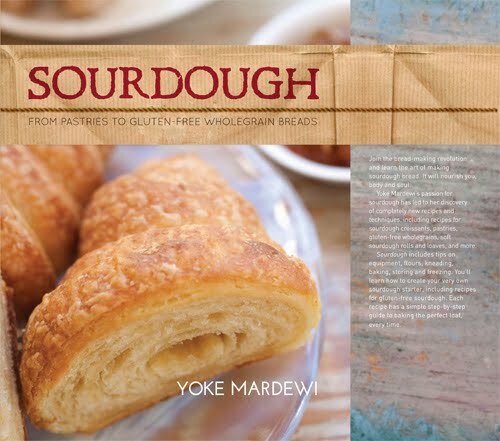 Yoke’s passion for sourdough has led to new discovery of completely new recipes and techniques for this book and rediscovery of her classic recipes. This book, like her other books, covers ingredients, equipments, all about sourdough starter and sourdough breadmaking step by step. This book contains more colourful photographs to show you what you should be aiming for.There are 30 sourdough recipes including Basic, Wheatfree, Savoury and Celebratory, presented in full colours and bold writing making it easier to read without resorting to magnifying glasses :-). This book’s focus is to make sourdough breadmaking more do-able to suit everyone’s busy life style without losing the traditional long and slow method of making sourdough, to transform a humble mixture of flour and water into something delicious and nutritious.